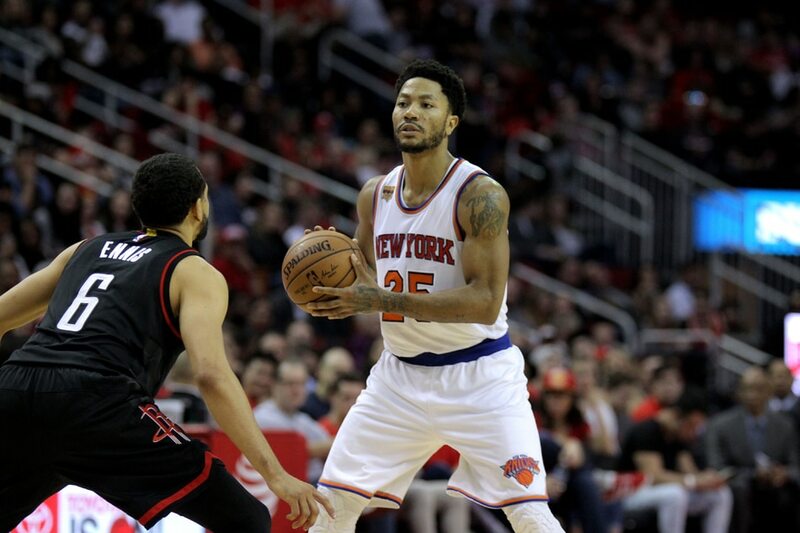 NEW YORK -- (UPDATED) New York point guard Derrick Rose was a mysterious no-show at Madison Square Garden on Monday, and that was just one of the Knicks' problems in a 110-96 NBA defeat to the New Orleans Pelicans. The Knicks started Brandon Jennings at point guard instead of Rose, the team tweeting only a terse announcement that "Derrick Rose is not with the team." Coach Jeff Hornacek had given no indication of Rose's absence in his pregame press conference. After the game he tried to deflect questions about the player. "Right now we don't have enough information to really give you anything," Hornacek said. "So that's just going to have to wait until we hear something from Derrick himself." Hornacek refused to be drawn on reports that team staff had been unable to contact Rose. "I'm not going to comment on any of that stuff," he said. "We expect him back, sure. It's just a matter of time. "We want to respect whatever he's going through, and we're just not going to comment on it." Teammate Joakim Noah said he had been in touch with Rose after the game and he was OK. But he shed no real light on Rose's absence, later reported by ESPN to be due to a family matter. "I don't really want to talk too much about it because I don't know what the situation is," Noah said. "I'm just happy that everything is OK with him." The 28-year-old Rose, the 2011 NBA Most Valuable Player with the Chicago Bulls, has been effective in his first season with the Knicks. He's averaging 17.3 points in 33 games, missing a few earlier this season with back spasms. In Rose's absence, the Knicks lost for the eighth time in nine games. Star forward Carmelo Anthony was ejected during a third quarter timeout, drawing two technical fouls for arguing over officiating. Shortly thereafter, Knicks reserve Kyle O'Quinn was ejected for a hard foul that sent Pelicans star Anthony Davis flying into courtside seats along the baseline. Davis, who scored a game-high 40 points, made both free throws to stretch New Orleans' lead to 87-63, but left the game with a hip injury. Hornacek acknowledged that frustration over the Knicks' recent struggles may have contributed to the ejections. The Knicks left the court to boos from their home fans -- which had started well before the end of the game. "It was just a tough night for us," Hornacek said.